Ships tomorrow if you order in the next 22 hours 12 minutes. Glucose is the main source of energy for your cells, and your overall health is dependent on a healthy glucose balance. Stress and overwhelmed adrenal glands may cause an imbalance in blood sugar, which can affect your overall health. 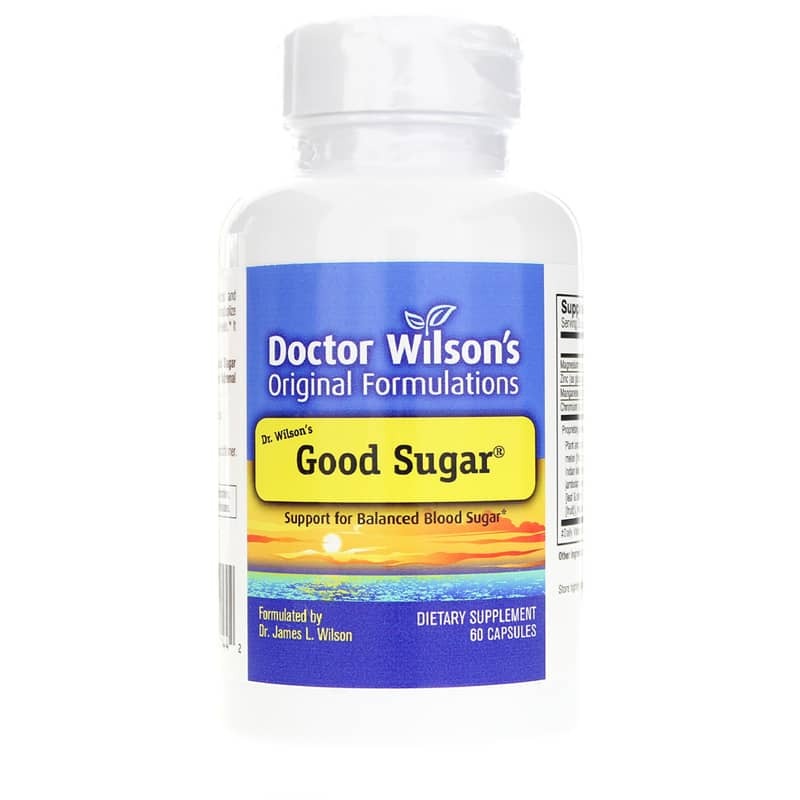 Dr. Wilson's Good Sugar is a natural dietary supplement designed to help support and maintain a healthy blood glucose balance, even during times of stress and adrenal fatigue. 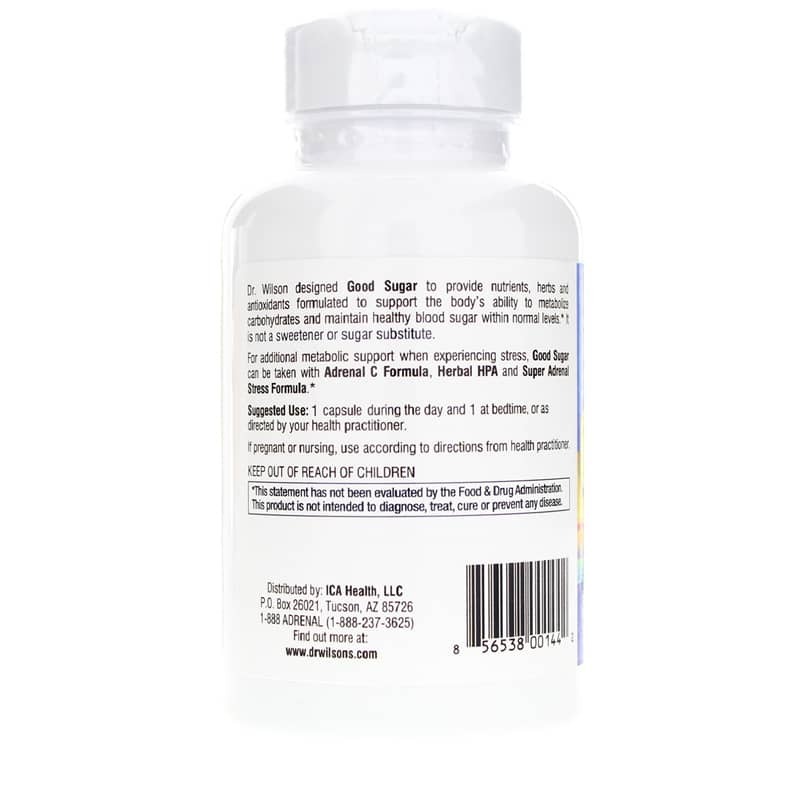 Dr. Wilson's Good Sugar is always manufactured without the most common food allergens and never contains preservatives or artificial flavoring or coloring. 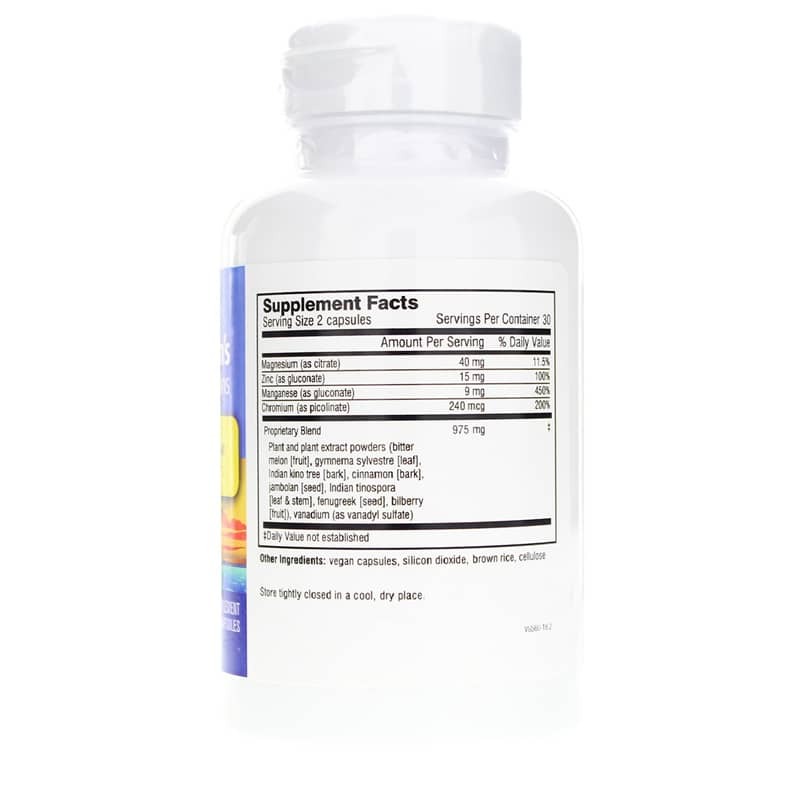 It's the sugar-free, hormone-free way to maintain a healthy blood sugar balance without having to worry about side effects or unpleasant ingredients. Give Good Sugar a try today, and keep yourself on the all-natural pathway toward optimal overall health and an increased sense of overall wellness. Order yours now! ---Plant and plant extract powders (bitter melon (fruit), gymnema sylvestre (leaf), Indian kino tree (bark), cinnamon (bark), jambolan (seed), Indian tinospora (leaf & stem), fenugreek (seed), bilberry (fruit), vanadium (as vanadyl sulfate). Other Ingredients: vegan capsules, modified vegetable cellulose, brown rice concentrate, silicon dioxide, water. Contains NO: dairy, egg, sugar, salt, wheat, gluten, nuts, yeast, corn, soy, artificial coloring, flavoring or preservatives. Vegan. Adults: Take 1 to 2 capsules during the day and 1 to 2 capsules at bedtime or as recommended by a healthcare professional.